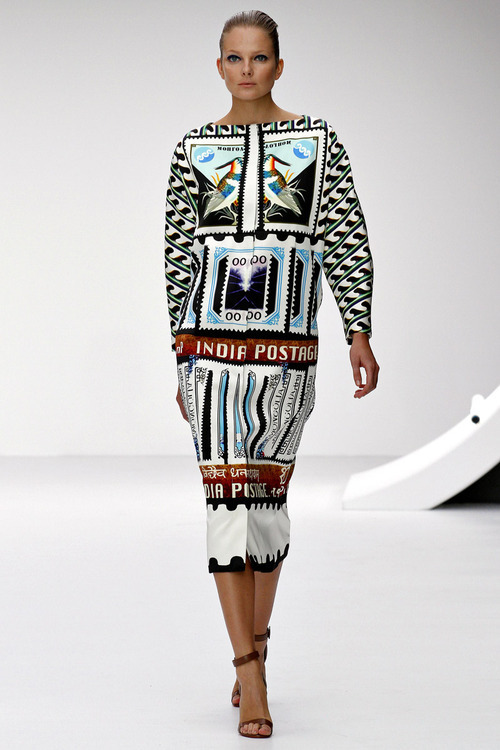 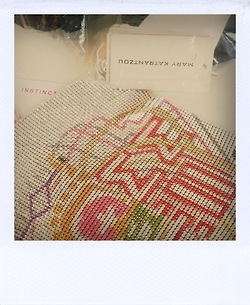 Postage stamps and bank notes seem to have been the source material for Mary Katrantzou’s graphic prints for the spring season. 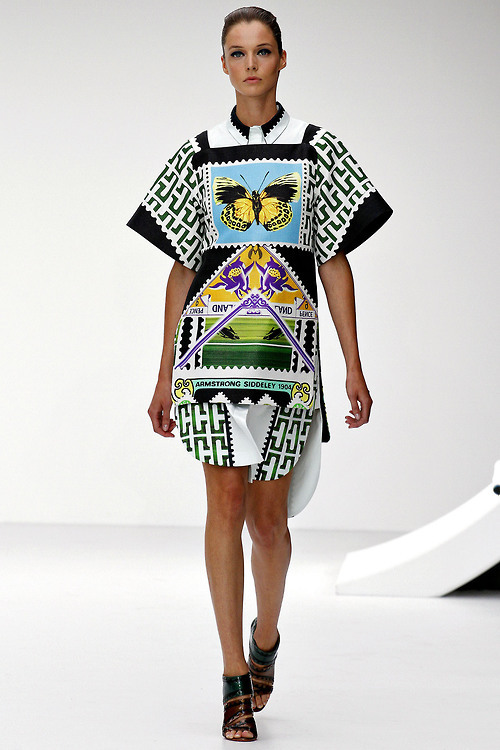 Naturally, she combined them together so that while you could see where she sourced the graphics, they transcended them to become bold and elegant tops, pants, cocktail dresses, and even shoes (once again provided by Christian Louboutin). 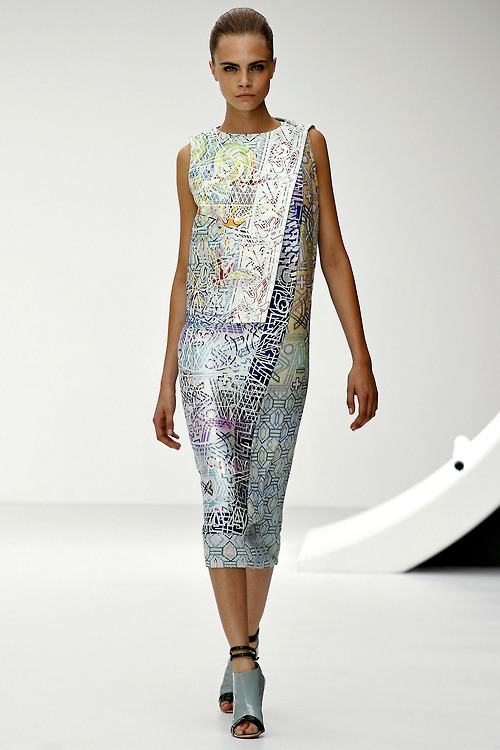 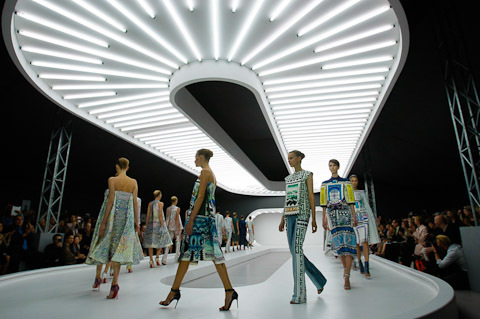 Katrantzou’s collections are getting stronger and stronger and this is hands down one of the best from this season. 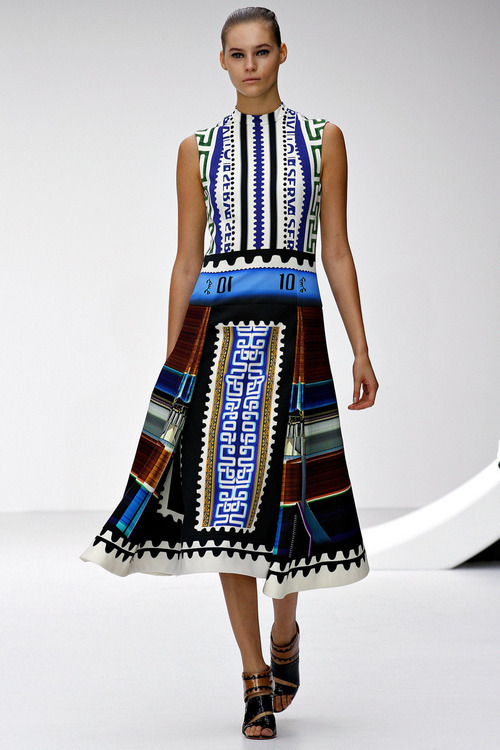 Isabel Marant Pre Fall14: is it too early to talk about it?